Together Making Changes Quarterly Contributions! With the help of our TMC family, we are able to give back to those in need. 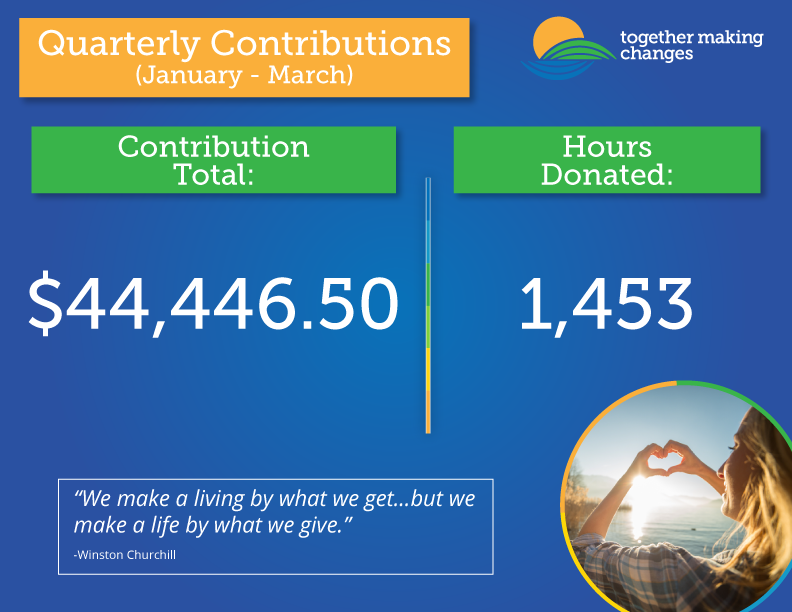 A total of $44,446.50 was raised during the months of January-March through team member payroll deductions, donations and fundraisers!